Charlie Mechling of the Speedos participates in a swim meet earlier in the season. The Aspen Speedos did more than swim to a second-place finish last weekend at the big Grand Junction Invitational at Colorado Mesa University. They also recorded a significant number of time drops in individual events as the summer swim season hits the midway point. “It was a big meet, around 500 kids and 25 teams, and we took second,” said Aspen Speedos head coach Gordon Gerson, adding there were teams from the Front Range, Utah and Wyoming at the Grand Junction event. “There was a lot of good swimming,” he said. The huge Flarirons club from Boulder, with double the number of Aspen swimmers, won the meet. Aspen was second, topping the rest of the field. Mechling, 13, set down four priority cuts to qualify her for the Colorado age-group team. Swimming in the 13-14 age division, Mechling won the 100 freestyle and the 50 freestyle. She swam to a second-place finish in the 200 freestyle, and she was third in the 200 back, the 400 free and the 800 free. “Her 800 free started the meet off good for her,” Gerson said. “She had a 36-second time drop from a meet just a month ago. That was her first priority cut. “In the 100 free, she just creamed everybody,” Gerson said, adding she just missed a priority time in that event. Charlie Mechling, 17, picked up a pair of second places — the 100 breast and the 100 freestyle. “Cole (Petersen) had a phenomenal meet,” Gerson said, adding that he swam an ambitious program in the two-day Grand Junction Invitational. Peterson also finished second in the 100 backstroke. “He won the 100 breast. He was very excited about that. 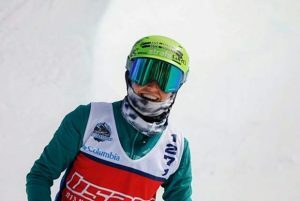 He dropped 4.89 seconds,” Gerson said. He was third in the 400 freestyle with a big time drop. “The 200 breast he won, dropped 6 seconds,” Gerson said. Peterson also swam the mile (1,500), finishing second and knocking 1:17 off his PR. He also surpassed the qualifying time for senior zones in the mile. Samantha Terranova, 17, won the 1500 freestyle and the 200 back in her age division. She finished second in the 100 back, the 200 free, the 400 free, the 200 individual medley and the 400 individual medley. Terranova, who lives in Steamboat Springs but trains and competes with the Aspen Speedos, was third in the 100 free and the 800 free. Young Gavin Boggs, 7, had a strong meet for the Speedos, Gerson said. He was second in the 100 butterfly, fourth in the 100 freestyle, third in the 200 free, third in the 50 back, fifth in the 50 breast, third in the 50 fly and fourth in the 50 free. 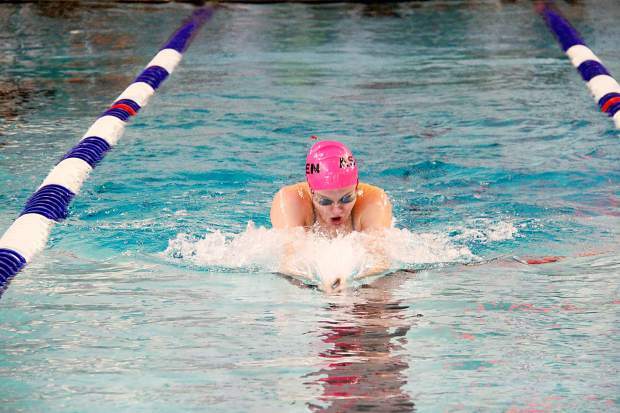 Sister Lillie Boggs, 10, added a second place in the 400 freestyle in Grand Junction. “She got a third in the 200 back, second in the 50 free and a sixth in the 400 free,” Gerson said. Brown also finished fourth in the 100 freestyle, seventh in the 20 breast, fourth in the 200 IM and fifth in the 400 IM. “She had some nice time drops there,” Gerson said. Max Bryant, coming off illness, had a strong meet, the Aspen coach said. Bryant, a swimmer at Southern Methodist University, is a longtime Aspen Speedos competitor. “We lightened his load a little bit,” Gerson said regarding Bryant’s recovery. His results, all podium finishes, included a first in the 100 breast, a fourth in the 100 butterfly, a third in the 100 free, a second in the 200 free, a second in the 200 individual medley and a third in the 50 free. Gerson said he logged a number of best times competing in a field that included other collegiate competitors. “Those are all good, solid swims for where we are in training,” Gerson said. The veteran coach said Shea Card, 12, is new to the team. “His family moved back to the valley. He had a real nice meet, capped by his last event — the 50 back he made a state time,” Gerson said. He also was second in the 200 back. And he finished fifth in the 100 back. Nathan Cherry advanced to several finals in his events, Gerson said. Cherry, a 13-year-old in the 13-14 division, finished eighth in the 400 individual medley, “with a huge time drop,” Gerson said. He also finshed seventh in the 400 free. “Emily (Driscoll) also had some nice swims, especially in the long stuff,” Gerson said. Driscoll, 15, finished third in the 200 butterfly, fourth in the 1500 and fifth in the 100 fly. She just missed a state-qualifying time as well, Gerson said, adding she had big time drops for an experienced swimmer. Hannah Freeman, 14, collected a third-place finish in the 1500. And she added an eighth in the 400 freestyle. Freeman also finished ninth in the 50 free and 200 free. She had a 1:54 time drop in the 1500. Kelcie Gerson, daughter of the coach and a swimmer at Columbia University, swam a short program in Grand Junction with top results. Kelcie Gerson, 19, finished third in the 100 back, fifth in the 800 freestyle and seventh in the 400 free. Micah Sanders-Silva also had a strong meet for the Speedos, according to Gerson. He just returned from a swim camp in Texas. 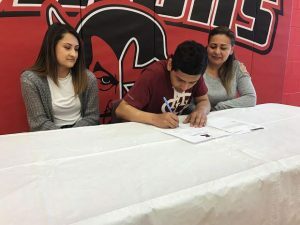 “Micah also made a state cut in the 50 back for 10-and-under boys,” Gerson said. He finished third in the event. He had a seventh in the 200 IM and a sixth in the 400 freestyle with a big time drop. He added a sixth in the 100 breast. Eddie Zane, 8, finished second in the 100 back and fourth in the 50 fly and 100 breast. Zane also was fifth in the 50 free. Zane was sixth in the 100 free, the 50 back and the 50 breast. Gracey Brown collected a third place for the Speedos in the 400 freestyle as a 9-year-old in the 9-10 division. “She’s got a lot of time left in that age group,” Gerson said, adding she posted major time drops in Grand Junction. Another Aspen swimmer scored in Grand Junction. He’s currently unattached but will compete with the Speedos as the summer goes on. 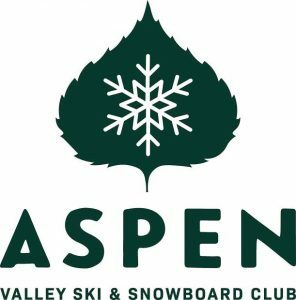 Sevi Multin is training with the Aspen team. Multin also finished fifth in the 200 back, sixth in the 100 fly, sixth in the 100 back and sixth in the 200 individual medley.